Klorane Shine Shampoo With Cedarapple 100 ml order online. 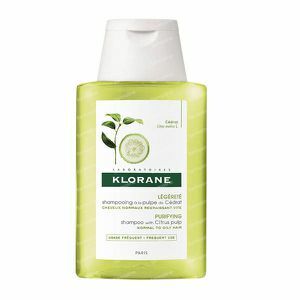 With its fresh, invigorating fragrance and radiant translucent yellow colour, KLORANE Citron pulp shampoo with vitamins is suitable for all hair types; it can be used as frequently as necessary and by the whole family. Truly bursting with energy, it neutralises hard water to restore exceptional vitality and radiance. 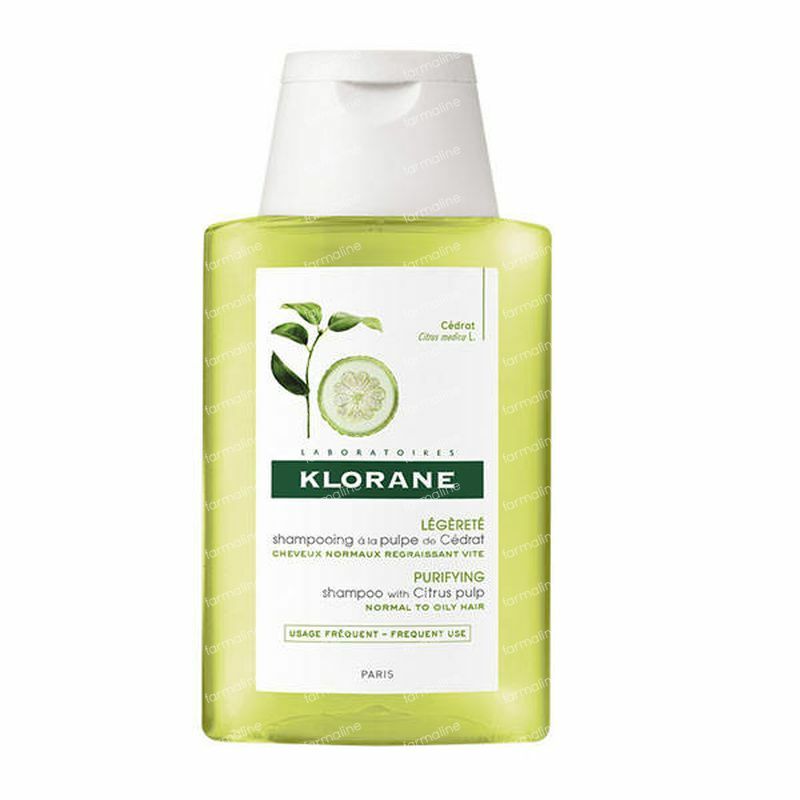 KLORANE Citron pulp shampoo with vitamins was appreciated by users for leaving hair shiny (78%) and for its increased effectiveness when combined with KLORANE Shine hair care with citron pulp and vitamins (87%). A detoxifying and high shine purifying shampoo for normal hair that tends to get greasy quickly. One application is sufficient. Rinse well. In case of contact with the eyes, rinse thoroughly. This shampoo can be used as often as necessary. It is suitable for all hair types. AQUA, SODIUM LAURETH SULFATE, SODIUM COCOAMPHODIACETATE, GLYCOLIC ACID, TRIETHANOLAMINE, PROPYLENE GLYCOL, DECYL GLUCOSIDE, BENZOIC ACID, CHLOROPHYLLIN COPPER COMPLEX (CI 75810), CITRUS MEDICA VULGARIS FRUIT EXTRACT, DISODIUM EDTA, PARFUM (FRAGRANCE), GLUTAMIC ACID, PANTHENOL, POLYQUATERNIUM-10, SODIUM CHLORIDE, SODIUM HYDROXIDE, YELLOW 5 (CI 19140).